If there is one article that I implore you not to ignore, it is this one. Although estate planning is likely the last thing you want to think about, refusing to deal with it is one of the most inconsiderate things that you can do. We don’t often think about it that way, but it is true. By denying our mortality, we can leave a hurricane-sized catastrophe behind for our loved ones to have to deal with. Is that really the legacy you wish to leave? Instead, I encourage you to leave behind a legacy of love and caring; one that shows you have put effort into making this challenging time as simple as possible for them. Having talked to many a financial planner, one of the most challenging parts of his or her job is to get clients to discuss, think about, and plan what is to happen in the event of death. When most people think about this topic, an undeniable feeling of fatigue washes over them. Surely this can be dealt with tomorrow or next week, we think. What we seldom stop to think about is how selfish that way of thinking can be. Stop for a moment and consider who would bear the burden if you were to die today and what responsibilities would fall on your executor. Would they know where to go to find the many things that were needed? Would they know the multiple people to contact? Would they even know that they were your executor at all? If you care about your loved ones, you will choose to make this process as easy as possible for them by preparing in advance. It is not uncommon to hear about someone passing away without a will, or with a complicated collection of assets that are scattered in undocumented places. I will often hear of a husband passing away, leaving a wife behind who knows nothing of their assets or investments and who is at a complete loss for what to do. This woman is in a prime position to be taken advantage of or to follow poor advice. I have heard of people who leave their children a huge estate of illiquid assets, but don’t leave them any money with which to pay the estate taxes on the assets. These children may have no choice but to sell the family property or company at a less than advantageous time. Understanding estate planning basics can help to avoid these scenarios. We all know logically that these things should never happen. After all, we know that at some point we are going to die. The real question is, will you have prepared adequately in advance? Here are the five basic things that everyone should ask himself or herself. If you go through this list and find things that you cannot remember having done or being familiar with, you know where to get started. Whether you make it a priority or not is up to you; it all depends on the kind of legacy you choose to leave behind. I encourage us all to choose a legacy of love. Do you have a will? Has it been updated or reviewed recently? Have you provided your executor with a list of all of your information OR told them where they will need to go to obtain such a list? Do you have sufficient life insurance coverage to provide for your dependents or beneficiaries? Do you understand your entire financial situation? Many of us have spouses or partners who handle the financial planning. It is not acceptable for one party to be in the dark. BOTH parties need to be involved in financial decision-making and planning. Do you have someone who you trust to help you with the above? Please note that this is just an abbreviated list to get you started. There are also many additional questions that you will run into as you start working on these important documents for your personal situation. A trusted attorney in your hometown is a great place to start down this path of making sure you are prepared to provide the best gift of estate planning for your loved ones. After all, whether we like to talk about it or not, it is the simple truth that with death there is vast stress and sadness. 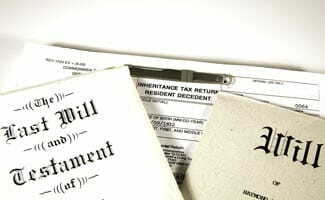 We can lessen the stress through effective estate planning via careful documentation and communication. Are you all set when it comes to planning your estate? Ask your questions and share your estate planning experiences below!